The NorthCap University inaugurated a ‘Thought Lab’ a pilot project of the University in collaboration with the Education Wing of RERF (a sister organization of Prajapita Brahma Kumaris Ishwariya Vishwa Vidyalay) on 20 April 2018. 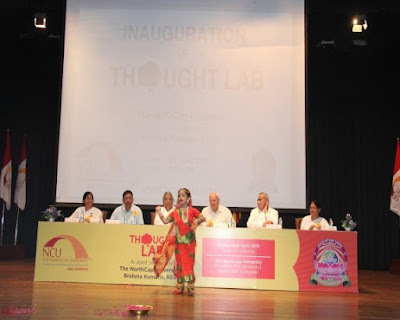 NCU is the first university in Northern India to set up a ‘Thought Lab’ a novel concept for creating pure, positive and creative thoughts in individuals. It is a unique project aimed to harness the hidden and still untapped inner power of extra-ordinary resource i.e. the Mind of an individual. The NorthCap University takes pride in being one of the pioneer institutions in Delhi/NCR to offer this new concept for the benefit of its students. This facility is bound to act as catalyst for development of a robust mind to enable students sustain through difficult times. The Thought Lab was inaugurated by Sister BK Asha, Director OmShanti Retreat Centre, Shri BK Mrutyunjaya, President Value Education Programs Brahma Kumaris, RERF and Prof. Prem Vrat, Pro-Chancellor, Prof. HB Raghavendra, Vice-Chancellor, NCU. The Thought Lab comprises of meditation, audio-visual aids, photo gallery, counselling, activities corner, research and spiritual library. The inaugural programme started with a beautiful solo dance performance by a young Brahma Kumari follower. Dr Aditi Singhal, Memory Trainer and Guinness World Record Holder in Maths, delivered a talk on ‘Enlightening Mind and Enhancing Memory Power’. By involving the audience she showed that concentration is most important to memorize anything. Law of Association, Law of Imagination and Law of Ridiculous enhance memory and recall. 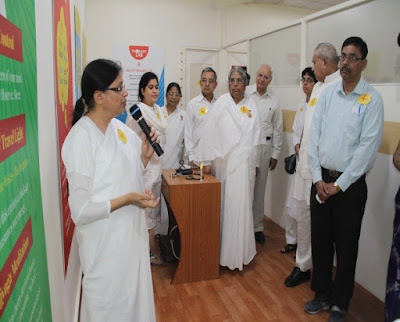 Sister BK Sudesh, National Promotional Coordinator in Value Education and Spirituality explained types of thoughts, the thought process and how Rajyoga meditation heals mentally, socially, spiritually and physically. Sister Supriya read out Dadiji’s message about the importance of the Thought Lab for self-empowerment and creative thinking. 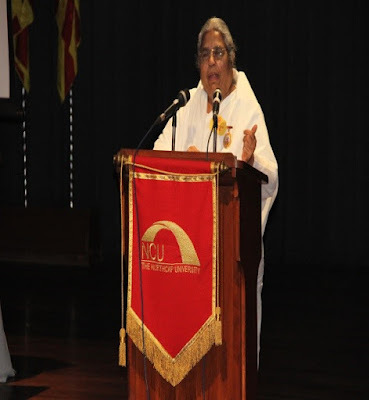 Sister BK Asha pointed out that meditation is a gift of India to the rest of the world. She motivated the youth to learn and experience the magic of meditation at the Thought Lab. This would lead to a positive attitude for learning, innovative thinking and elevated thinking which is ‘forgive and forget’. Shri BK Mrutyunjaya said that the Thought Lab would treat the pollution of the mind, help overcome various kinds of fears, give clarity of mind and lead to an anger free society. 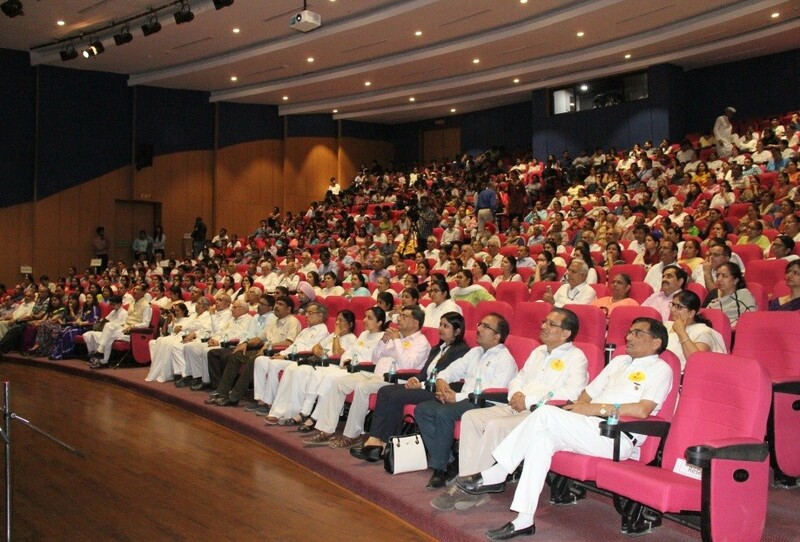 Speaking at the occasion Prof. Prem Vrat said that attitude is the critical factor for enhancing employability. A positive attitude shows you're willing to put effort into your work, and will bring a positive presence to your workplace and ‘learning to learn’ is the main attitude for success. Prof. HB Raghavendra said that the Thought Lab had added one more dimension to the University and hoped everyone would utilize the facilities offered at the Thought Lab to develop their personality and change their lifetime perspective. 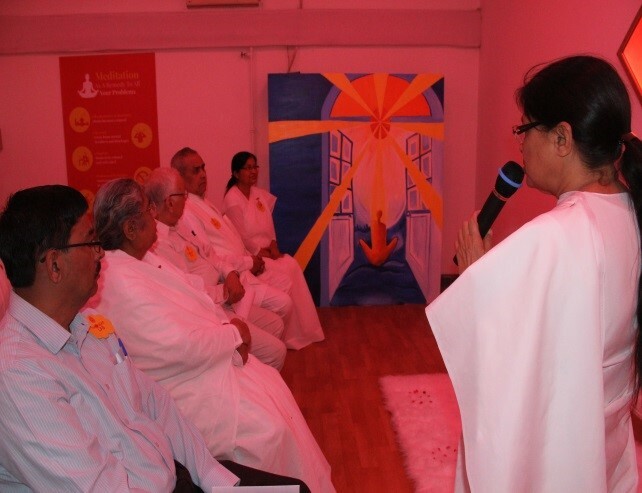 The audience participated in a meditation session led by Sister Urmil to experience ‘inner calm’. NCU choir rendered a motivational song followed by a vote of thanks by Maj Gen Om Prakash (Retd), a Brahma Kumari follower. 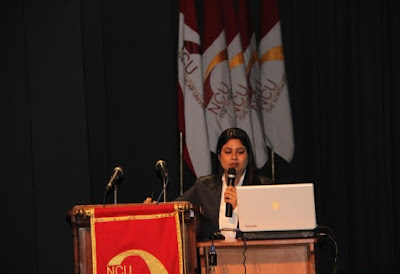 Student Akanksha Tikoo, Final-year CSE and Dr Payal Khurana, Head, CLL, coordinated the event.